When we were all growing up, the roles of women in superhero movies were pretty limited. And we say limited, what we really mean is the “damsel in distress,” “romantic interest of the hero and that’s it” kind of limited. Think about Lois Lane for Superman, Mary Jane Watson for Spiderman. Of course, these women do have other things going for them: Lois Lane is an awardwinning journalist, Mary Jane Watson is a successful model. But really, when you hear the name Lois Lane, you do not think of journalism, you think of Superman’s girlfriend. That idea is not necessarily a bad thing, except for the message it was sending to all the little girls out there…that the most important thing about a woman is whatever man she happens to be dating, not her own skills or accomplishments. Now, thankfully, that narrative has shifted. We live in a world where we still hear about the Lois Lanes and Mary Jane Watsons (because of course, romantic interests are still vitally important to any superhero story) but we also have female role models not just in superhero’s girlfriends and wives, but superheroes themselves. And one of the most iconic female superheroes that today’s little girls can look up to is Superman’s lady cousin, Supergirl. Supergirl is an awesome example of a woman who has both superpowers and a super powered career working in the media. But what everyone remembers most about Supergirl is the fact that without her, National City would not be safe. She is a superhero up there with the best of them, with her Krypton strength and stamina, her incredible speed, her ability to fly, her invulnerability, her super hearing, and everything else about her that makes her stand part. She is a fantastic example of a moral and heroic role model for young girls and adult women everywhere. And now there are a wide plethora of Supergirl toys and collectible action figures available on the market today, which truly shows a shift in the way our society perceives women and their ability to also be super. 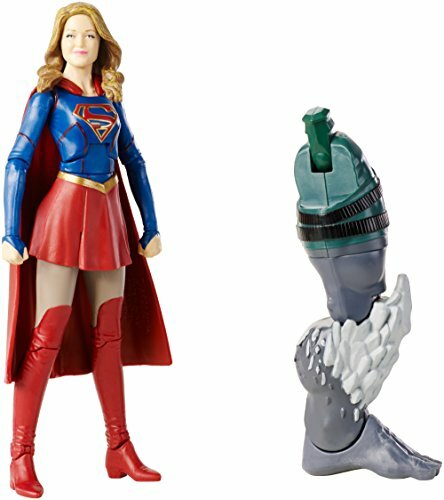 This Supergirl toy comes with a fun bonus: an extra piece which can be combined with pieces from other figures in the assortment to build an entire Comic Book Doomsday figurine. 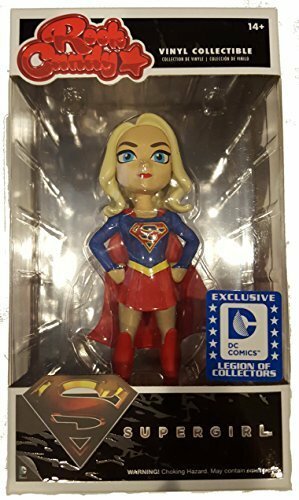 If you want your Supergirl figurine to look as close to the Supergirl in the TV series as possible, this figurine is the one you have to go for. It is the spitting image of the talented Melissa Benoist. No Legion of Collectors set is complete without Supergirl! Get this sassy, strong figurine from Funko Rock today and round out your collection. 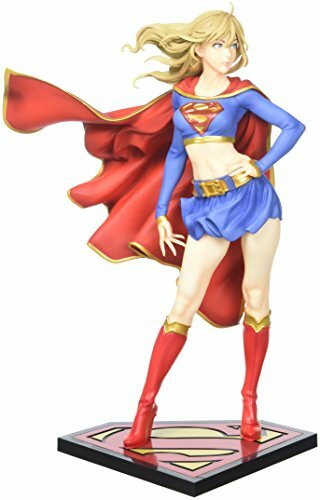 If you are interested in a figurine that is a bit more solid, you should go with the Supergirl Artfx+ Statue. It even comes with a magnetic base to stabilize the heavy figure wherever you most want to display it. Perfect to display alone or alongside other Bishoujo statues by Kotobukiya. Who says women can’t have muscles? The Supergirl Returns Boshoujo Action Figure is ready to prove them all wrong, standing in the wind and showing off her sculpted body. 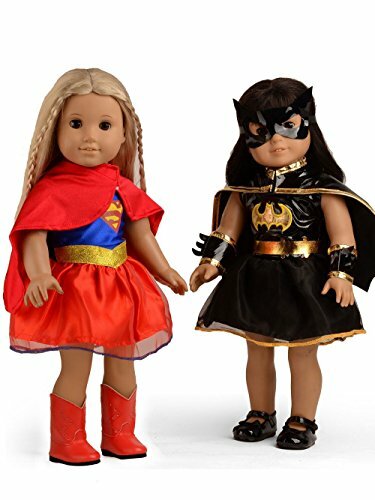 If you already have an American Girl doll, and you want to show your little girl that her doll can be just as super as her brother’s Spiderman figurines, the American Girl doll Supergirl costume is just what you need. It even comes with a Batgirl outfit, too! First brought into mainstream consciousness by Game of Thrones, Funko Pop is now an easily recognizable design by toy collectors everywhere. 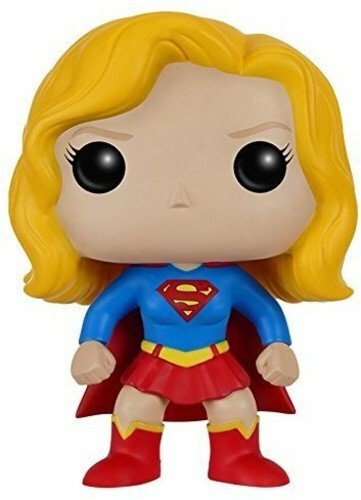 Round out your Funko Pop collection with this Supergirl figure.